This is a completely customized nurse and doctor cake topper ordered by one of our customers. They would like to keep the same outfits as our another doctor and nurse cake topper, but change the pose to be holding hands. The doctor is holding his stethoscope with his other hand. There is dark purple stethoscope around the bride's neck and an insulin syringe in her right hand. They would like the nurse's hair to be pulled back into a partial ponytail with bangs and the length is a few inches past the shoulders. They would like an EKG cardiac rhythm placed on the base and their cat, Cheetara, with a hot pink collar and a small jingle bell sitting between them, just as above image. Cheetara’s nose and belly are white, along with the tips of her tail and all 4 paws. The rest of her is a mix of orange and dark brown. Her eyes are a light green. 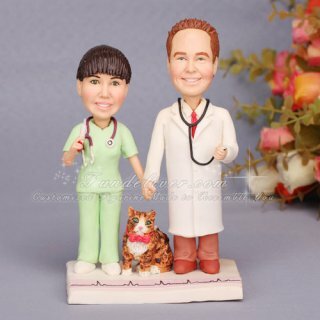 Need a medical theme cake topper? 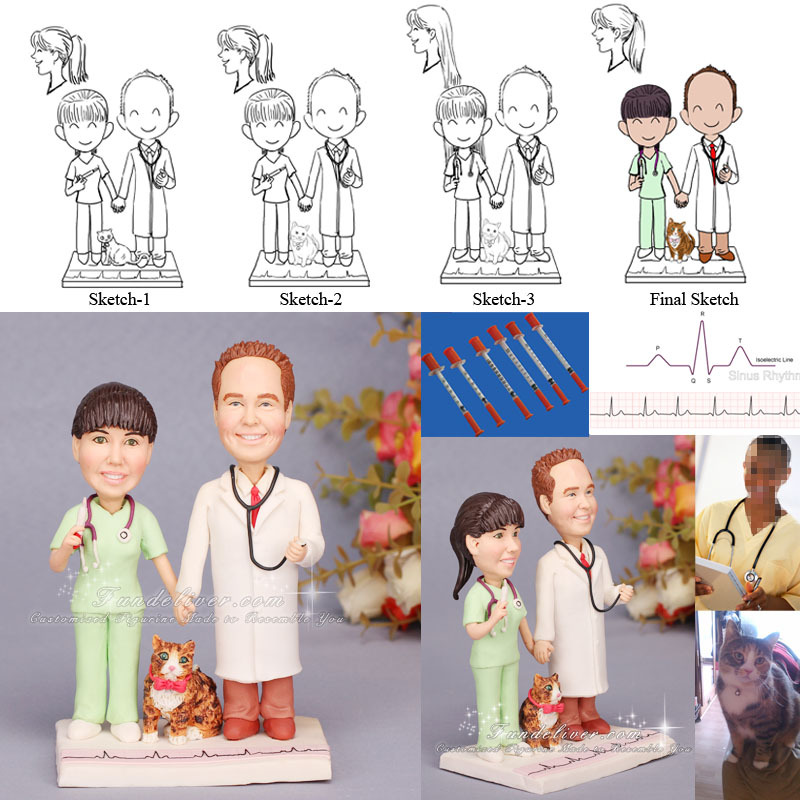 This nurse and doctor couple wedding cake topper might be the best choice.